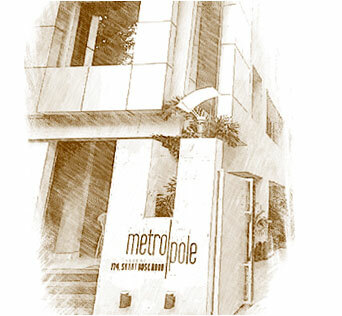 Metropole is a luxurious boutique hotel strategically located in the plush business hub of South Kolkata, ideal for leisure and business travellers alike. With an offer of twenty-four well-appointed designer rooms, Metropole comes complete with ample leisure amenities and business facilities to make one�s stay at the Hotel a memorable experience. Equipped with a conference room, meeting rooms, travel desk, restaurant, Wi-Fi/high-speed Internet and a host of other utilities, Metropole makes the ideal base for hosting seminars and other business gatherings. The Hotel�s location and easy accessibility add to the convenience. The multi-cuisine restaurant and bar at Metropole, with its promise of a great time with family, friends and business associates, is one of the best known in the city. An ideal venue for bigger parties and get together is the banquet hall at Metropole. The cafeteria at the Hotel is also a hang-out joint to look out for.